Free Northern blacks and their enslaved Southern brethren participated in personal as well as organized acts of resistance against slavery. In the North, African Americans faced huge odds and the systematic violation of their civil liberties. Consequently, many fervently supported the abolitionist cause with both open and surreptitious acts of rebellion. Northern blacks began forming groups to support the cause for freedom. As early as 1817, black Philadelphians formally protested African colonization, and by the late 1820s, black participation in anti-slavery societies had proliferated throughout the northeastern United States. Abolitionists newspapers, such as William Lloyd Garrison’s The Liberator, funded abolitionist activities, thanks to the consistent and generous financial support of black activists, who made up the majority of the paper’s subscribers in its early, critical years. Former slaves and descendants of slaves also published their own newspapers to deliver powerful testimonies against slavery, at the risk of being enslaved themselves. The likelihood of enslavement and death was extremely high for foot soldiers on the Underground Railroad. 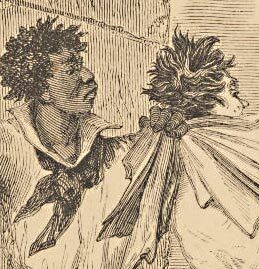 Helping runaways who had slave hunters on their heels was a perilous business, but the possibility of liberty, in their eyes, was well worth the threat of death. Enslaved blacks conducted personal protests against their own forced labor. Many broke tools, slowed the work pace, pretended ignorance, and in some cases, engaged in violence against their masters. A few worked and saved money to buy freedom for themselves and for their loved ones, while others used the most common form of resistance—escape. For those who had reached the limit of endurance, violent insurrection was the answer.